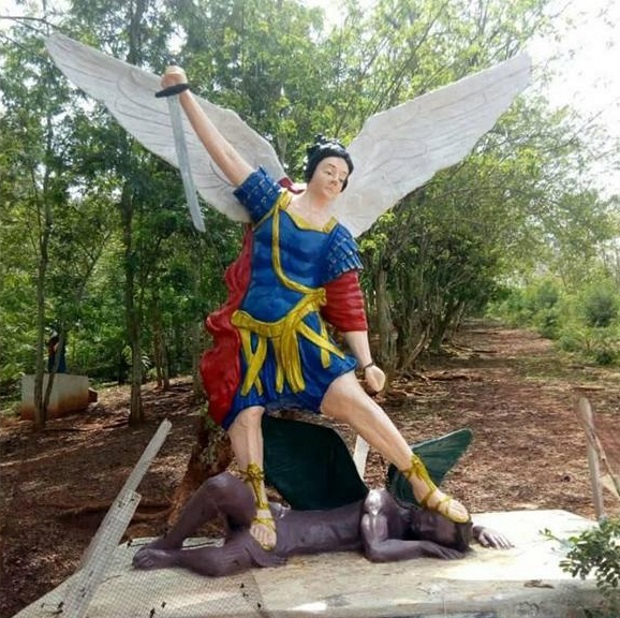 A statue of a white angel standing on a black demon in a southern Ghana churchyard has sparked a backlash on social media, with many stating it reinforces racist stereotypes. …This is not the first time that a statue has sparked controversy in Ghana. In December 2018, students at the University of Ghana pulled down a statue of Gandhi, whom they said considered Africans “inferior” and referred to them as “savages” in some of his writings.